There are at least 5 different bands called November. 1) November was a swedish rock band formed in Stockholm, Sweden in 1969 by Christer St?lbrandt, Richard Rolf and Bj?rn Inge. Their music was partly inspired by american acid rock but heavy and blues based like a mixture of Cream, Mountain and Led Zeppelin. The name November was taken after a successful gig opening for Fleetwood Mac in Gothenburg 1st November of 1969. 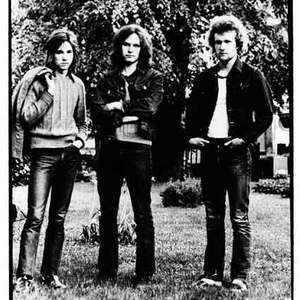 1) November was a swedish rock band formed in Stockholm, Sweden in 1969 by Christer St?lbrandt, Richard Rolf and Bj?rn Inge. Their music was partly inspired by american acid rock but heavy and blues based like a mixture of Cream, Mountain and Led Zeppelin. The name November was taken after a successful gig opening for Fleetwood Mac in Gothenburg 1st November of 1969. November was one of the first swedish rock bands with swedish lyrics. Most of the lyrics where written by St?lbrandt influenced by the 60's flower power movement. Despite the swedish lyrics, November was quite popular in England. While touring in England the lyrics was often translated to English, the crowd however was insisting on the band performing with swedish lyrics. November was dissolved 1972 after the release of the album "6:e November". Christer St?lbrandt moved on starting the group Saga, Bj?rn Inge joined jazz rockers Energy, and Richard Rolf was one of the forming members of Bash and later on joining Nature. 1994 they released "Live", recorded on tour in 1971. 2) November is also the name of a Danish indie-rock band from Copenhagen, who released their first EP in january 2006. November is a three-piece and was formed in the mid-nineties by its current members: Lasse Gubbertsen (drums), Christian Air Thomsen (guitars) and Andreas Lenny St?r (bass and vox). Some of the tracks available here on Last.fm are songs by the Danish band November. 3)November is the collaboration between film soundtrack composer and 'The young Gods' drummer Bernard Trontin and Simon Huw Jones, singer/lyricist of 'And also the trees'. With the simple title 'November', the album unites deep, electronic sound-waves, low-fi loops, glitches and rhythmic pulses with a vocal that drifts from subtle melody to poetic narrative and is a unique contribution to the world of electronic music. They were brought together by a record shop owner in Geneva not long after Jones had moved from England to live in Switzerland in 2000. Both were admirers of each others work but were unaware they were living in the same town. The initial idea for Jones to contribute a vocal to a track on an album of Trontin's compositions eventually evolved into a project for a full album which they recorded over a two year period in the garret of the maverick Argentinean sound engineer 'Sarten' Asaresi. 5) Georgian rock group. Was participating in Eurovision song contest selection with song "Over".